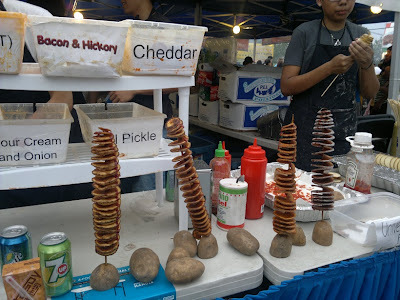 We braved the heat and trekked over to the T&T Waterfront Night Market today to enjoy a unique outdoor culinary experience featuring an enticing selection of Asian themed "street food". 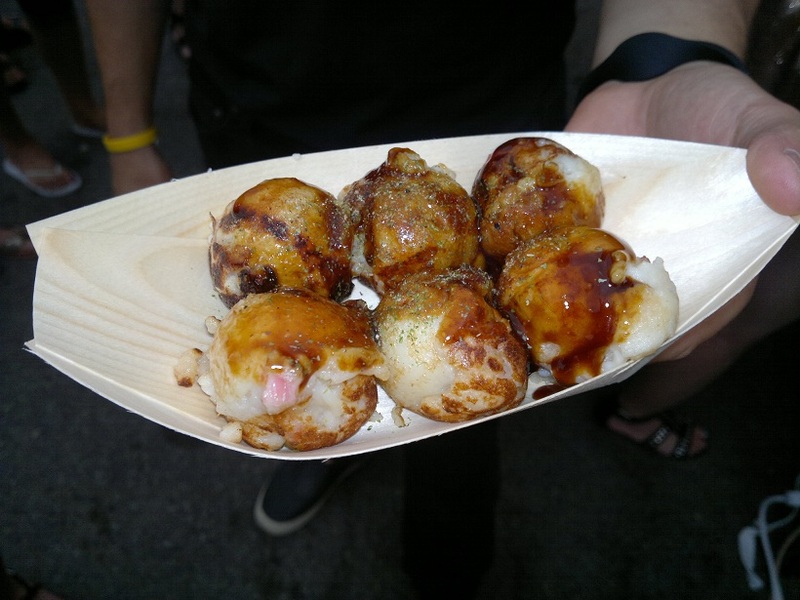 If you make your way down there this weekend, here are the top 5 strange foods to shock and tickle your taste buds! What's that smell?! As you head south on Cherry Street, you are greeted by the scent of horse stables? 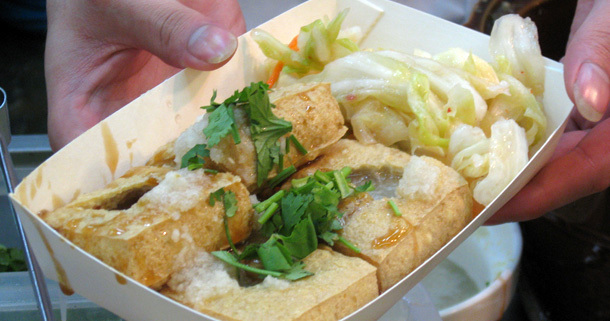 No, that's actually smelly tofu! 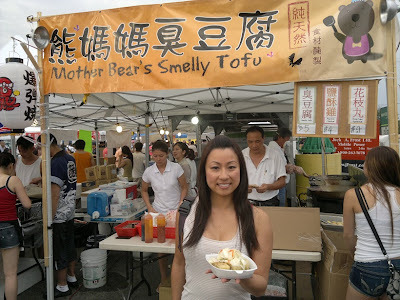 Yes, that is correct, "smelly tofu" is pretty much the equivalent of blue cheese (it stinks but that doesn't stop people standing in the mile long lineup to get some)! 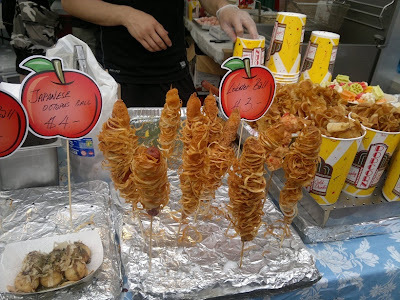 Prepared from fermented milk, vegetables and meat, it's a very popular snack in Hong Kong and Taiwan. 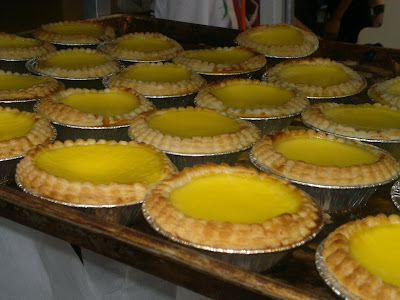 The name may sound a little strange but these delicious tarts tastes more like custard than eggs. Wrapped in flaky buttery pastry, they totally melt in your mouth. Get them while they are hot and fresh! Voted as one of Toronto Life's 100 tastes to try before you die, these little battered seafood balls are kind of sweet on the outside and filled with octopus, tempura and red ginger on the inside. Don't underestimate these babies because they are the world's most labour-intensive snacks! 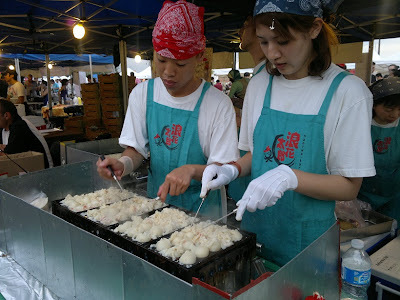 They are prepared over a hot grill by constantly shaping the ingredients until they form into round dumplings. Made with a one-piece thin spiral potato on a skewer and cooked in canola oil, you can now put a spin and dress up any old hot dog, shrimp or chip. Add seasoning and these look as good as they taste! 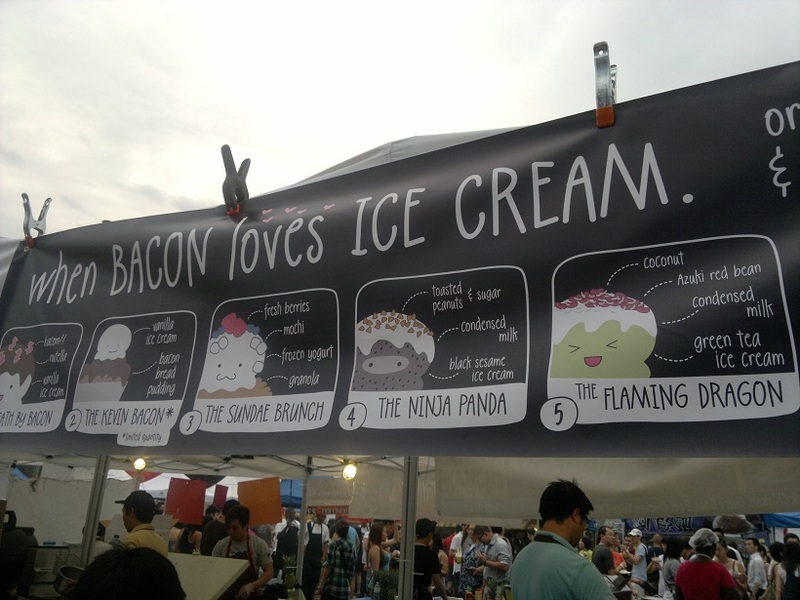 Move over rainbow sprinkles, maraschino cherries and gummy bears because now you can top off your frozen yogurt and pack a bunch in your plain ol' vanilla ice cream with bacon! I suppose bacon makes everything better right?